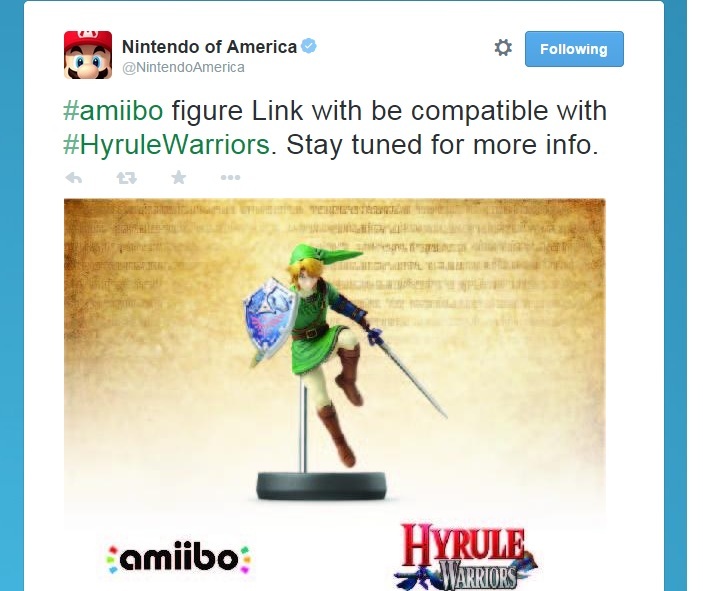 Hyrule Warriors will feature some Amiibo compatibility with Link Amiibo figure it’s just been announced. To confirm it’ll be the Link Amiibo figure that’s already been announced with Smash Bros so don’t worry about shelling out for different Link figures for the games. No details on just what stats you’ll be keeping on the Link Amiibo, but as a guess, you’ll be able to take your leveled up Link to your friends house who has Hyrule Warriors and use your Link there…Maybe?